Seals split ends from root to tip. Light reflecting (mica) technology enhances and illuminates the hair's colour pigments creating multi-dimensional shine. With Extracts of Olive Leaf, Quandong and Sunflower, this lightweight cream is high in Vitamins and antioxidants to provide long lasting shine, add moisture and tame fine, fly-away hair. 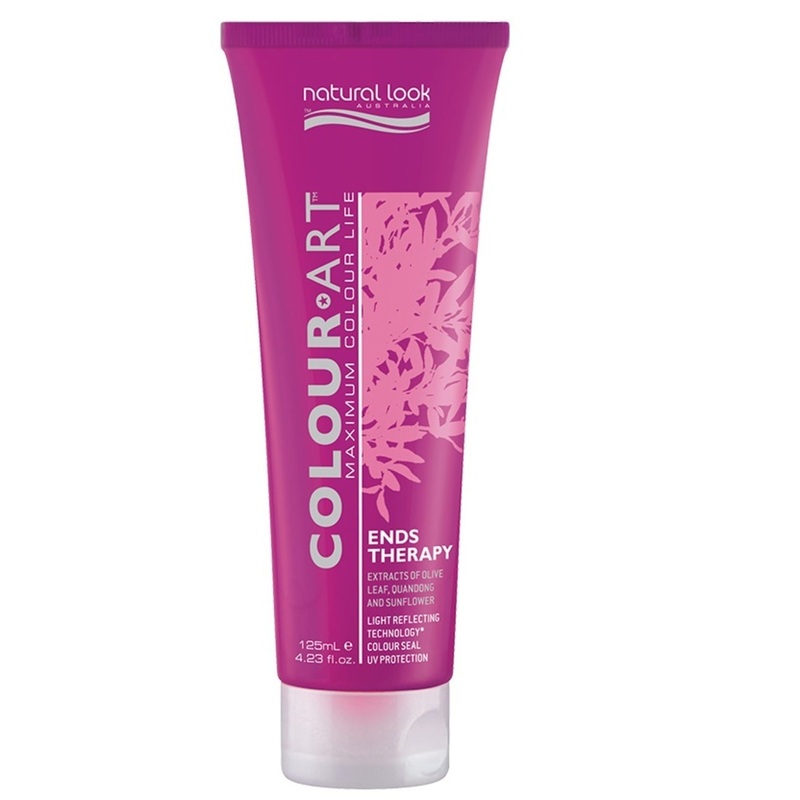 Provides thermal and solar protection, which will extend colour life and reduce colour fade. Use before and after swimming for chlorine and salt protection.